FBO’s engage in services that may leave them exposed to liability in many areas. From Hangar and Fuel Services to Maintenance and Ground Operations, Global Aerospace’s aviation insurance underwriting experts will work closely with you to provide comprehensive coverage, flexible terms and innovative solutions to the challenges our FBO’s face. 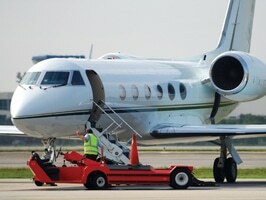 To learn more about insurance for fixed base operators, please contact your local Global Aerospace representative.